Yesterday was a beautiful day so my family and I left for the beach. 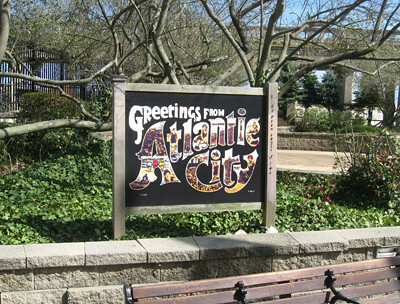 We frequently go to Atlantic City throughout the spring and summer to enjoy the beach. I don't gamble, but I enjoy walking through Caesar's Palace. Out of all the hotel/casinos I definitely prefer Caesars. I would love to see what the Caesar's Palace in Las Vegas looks like. 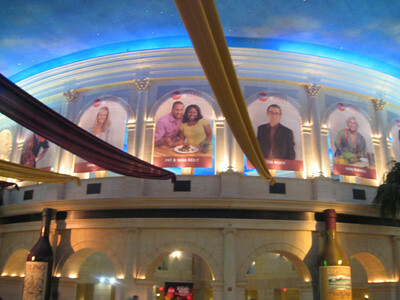 Unfortunately the one time I decide to take pictures in Caesars they are going to have some Food Network event. There were posters throughout the lobby of the big FN stars. 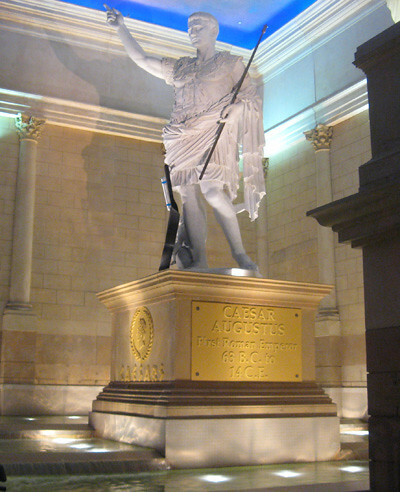 And they put a frying pan on Caesar's statue. The beach was wonderful. It wasn't too hot and the wind was blowing. 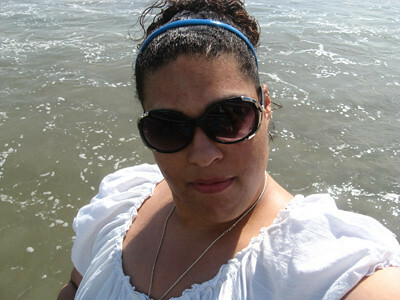 I opted to wear normal clothes because I planned to play in the ocean. The only issue was the sand. It was so hot it burned the soles of my feet! I had to put my wedge heels on to walk to the water. Walking in heels on the sand was interesting.